Viacom18’s digital video-on-demand streaming service and India’s second largest AVOD OTT platform, VOOT has recently celebrated its third anniversary with 100+ billion minutes of watch time. 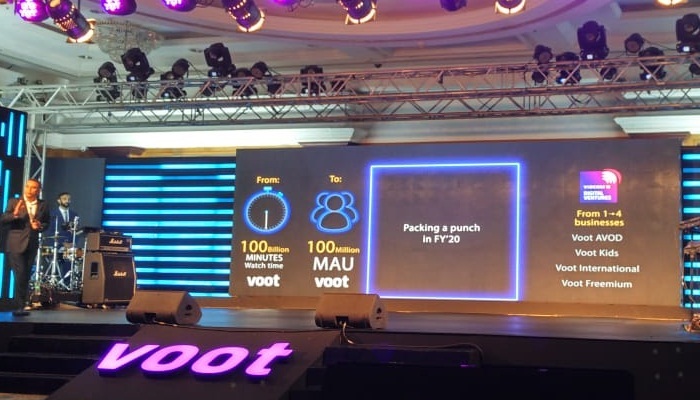 Promising to offer quality and myriad content in the digital ecosystem, VOOT now aims to reach 100 million monthly active users (MAU) within the fiscal year. Currently driven by an advertising supported video-on-demand model, VOOT will continue to build scale by soon diversifying from one business model of AVOD to four – VOOT AVOD, VOOT Kids, VOOT International and VOOT Freemium. Beside VOOT Kids, as part of its future growth strategy, the OTT platform has revealed expanding and enriching current content library with an interesting line-up of over 30+ originals across genres and languages, to be launched this year. Few of them are : Law and Honour, Naaz, Love All, The Raikar Case, Kaisi Yeh Yaariaan – Season 4, Marzi and Asura. “India will have an online consumer base of more than 500mn by 2022. Of this, more than 3/4th will be consuming video content. While technological advancements allow us to personalise content consumption, growth for the category will come from our ability to segment our offerings to multiple consumer segments accelerated by the three A’s – accessibility, availability and affordability. VOOT has crossed the 100bn watch minutes’ mark in three years and we are now targeting 100mn monthly active users within this financial year. Additionally, we are segmenting the VOOT business into four uniquely focussed propositions – the existing AVOD model and the upcoming freemium offering, VOOT Kids and VOOT International,” added Vats. 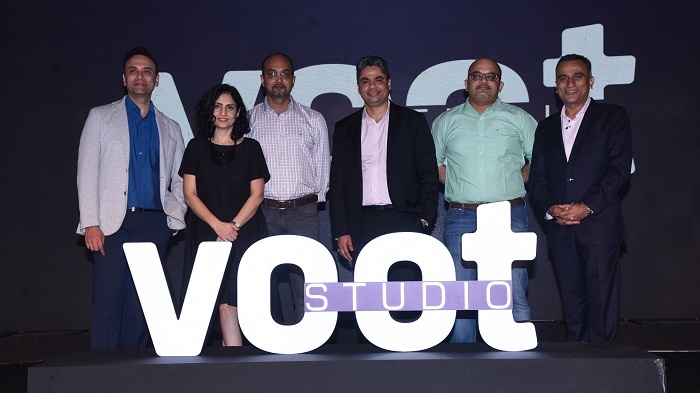 Institutionalising the branded content play, VOOT also announced the launch of VOOT Studios – a business performance-oriented content tech solution for advertisers looking to connect with digital audiences with branded shows, sponsorships, interactive formats in addition to other bespoke solutions. With the proliferation of digital content and its increasing consumption across mediums, understanding consumer behaviour now plays a critical role. 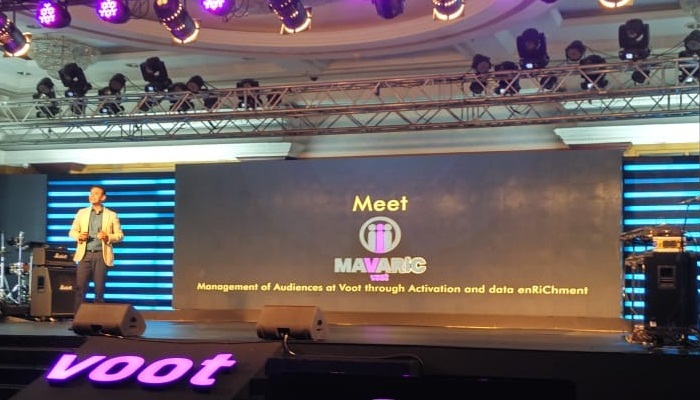 VOOT’s consumer insights product MAVARIC is thus built to help advertisers identify the right audience thus ensuring high impact via communication. MAVARIC helps advertisers with consumer insights as well as target their messaging beyond simple demographic profiles and instead focuses on enhanced insights around online behaviour, purchase behaviour, affinity and interest and more. Reinforcing the importance of interactivity on OTT platforms, VOOT also attempts to strengthen its current offering with the addition of five new programmes in the next few months which will fuel further growth and attract users to the platform. Now available on iOS, Android, Web, and Amazon Fire TV, and built on a robust technology backbone, VOOT further strengthens its technology and distribution system by announcing over 20+ new distribution partners across the travel, broadband and mobile ecosystem as well as with OEMs, like CloudWalker, ShareIt , Act Fibrenet and travel network company OLA amongst others.